Destin is recognized as a top golf destination, and no where is it better represented than at beautiful Emerald Bay. Designed by Bob Cupp, Emerald Bay is an 18-hole championship course believed by many to be one of northwest Florida's very best. The 9-hole Golf Garden of Destin in Destin, FL is a public golf course that opened in 1992. 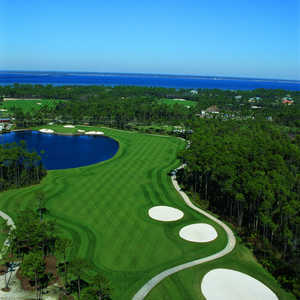 Designed by Sammy Rachels, Golf Garden of Destin measures 1630 yards from the longest tees. The course features 3 sets of tees for different skill levels. Greens and fairways are bermuda grass. The 18-hole Indian Bayou Golf Club in Destin, FL is a semi-private golf course that opened in 1978. Designed by Earl Stone, Indian Bayou Golf Club measures 7078 yards from the longest tees and has a slope rating of 132 and a 74. The partnership of Fred Couples and Gene Bates is a true design collaboration. The managing partner is Bob Barrett, one of the nation's most experienced club managers. Bob began his career at Augusta National Golf Club and has more recently been recognized for his work as Director of Golf at The Shoal Creek Club and Old Overton Club in Birmingham, Alabama. Regatta Bay Golf & Yacht Club blends seamlessly into the carefully preserved wilderness along the Choctawhatchee Bay. The course is not only an Emerald Coast favorite, but also one of the top golf courses in Florida. The layout is defined by the abundant wetlands that cover the entire course. 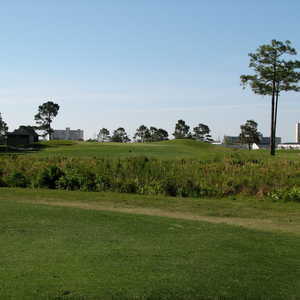 The 9-hole Sandpiper Cove Golf Course in Destin, FL is a public golf course that opened in 1974. Greens and fairways are bermuda grass.